MILANO, Italy – Any conversation in Italy these days contains the word ‘crisis’. 2011 was indeed critical for most industries, with some big drops. The sale of motorcycles and scooters dropped with 17%. In view of this reality the slump in local bicycle sales of just 5.7% (to 1,669,595 units) is relatively small. Bicycle production was indeed very stable at 2.43 million units (a decrease of only 1.1%) from 2.49 million units in 2010. Italian bicycle exports meanwhile, jumped up a very healthy 1.5 million units in 2011 (an increase of 11.1%!) reflecting the healthy economy in some of the most important North European countries. The average value for exported bicycles rose nicely: €98.59 per bicycle, from €93.30 in 2010. According to the statistics of ANCMA (the National Association for the Bicycle and Motorcycle Industry) the Italians imported 0.744 million bicycles, a huge increase of 17% on 2010. The increase in median value of imported bicycles rose slightly, to €165.68 (from €163.26) per unit reflecting price increases for material and components as well as the trend to higher value bicycles in Italy. The general market condition was very difficult in Italy in 2011. After an unusual healthy situation in Italy due to government bike purchase incentives in 2009; it was followed by a drop in domestic consumption of 8.1%, to 1.77 million bicycles in 2010. This was followed by rather stable sales of 1,750,000 units in 2011. The Italian bicycle market has changed quite a lot lately. The governmental incentives to the bicycle market in Italy in 2009 started a sort of new approach to cycling. It continued in 2010 and due to the economic crisis it became even stronger in 2011. Just going around Italy it seems consumers have discovered cycling as enjoyable. On the Italian streets we can see a higher number of people cycling around. Very normal citizens go to the IBDs to get a bike and to use it on regular days or during the weekend. It is surely difficult to say but is sounds as if cycling is becoming more main stream in Italy these days. Some associations like FIAB (Italian Federation of Bicycle Friends) were praising cycling as “good for the health” and try to increase in this way the usage of bicycles in Italy. Bicycle quality remains at a high level in Italy. One indication for that is the fact that the average price of imported bicycles remained rather high at €165.68 in 2011 (from €163.26 in 2010). Now it seems that the austerity of the economy is doing the best publicity for cycling in Italy. “If I buy a bicycle its cost maybe 300 euro but it does not have any further cost like insurance, petrol, parking cost, etc.” was a comment of a typical user. From that point of view the economic crisis is helping the bicycle industry in Italy. 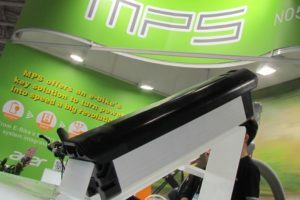 2011 was a good year in total for the bicycle industry. According to the ANCMA statistics, Italian bicycle production was rather stable at 2.43 million (minus 2.4%) from 2.489 million bikes in 2010. A total of 1,504,698 bicycles crossed the Italian borders; compared to the 2010 total of 1,354,320 units, a huge increase of 11.1%. Two reasons can be named for the rise in export. First the fact that the state of the economy in some of the north European countries is still in a good schape; second the fact mass retailers in the named countries have their bikes assembled in Italy. The average value of the exported Italian bicycles went up considerably to €98.59 (2010: €93.30) oper unit; a rise of 5.7%. Italian bicycle imports increased by a sizable 17%, to 744,293 units (2010: 636,112). This increase is surely not a healthy one for the national industry and confirms the general problem in the EU concerning bicycle imports and anti-dumping measures. A more encouraging sign of the increasing awareness of Italian bicycle users for higher bicycle quality is the high average value of the imported bicycles into Italy; which went up by 1.5% to €165.68 (2010: €163.26). 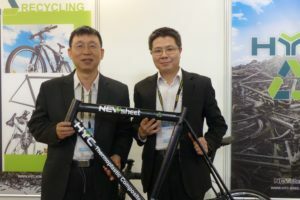 Based on ANCMA data, deliveries of complete bikes to the various distribution channels totaled 1,669,595 units in 2011, which looks like a disappointing 5.7% drop on the 2010 figure of 1,770,792 bicycles. But in view of the very difficult state of the economy in Italy the low numbers are almost positive. In fact almost all other industries in Italy are having very tough times and would be very happy to achieve such low drops. As mentioned earlier, motorbike and scooter sales dropped 17% in 2011. 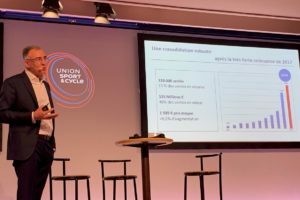 To allow ANCMA to have a more realistic assessment of the market shares per bicycle category, the association is changing their statistics. They are to reflect the number of bikes sold instead of the production numbers. It is a good approach even it may be confusing at the beginning. In any case Mountainbikes continue to be used for leisure and have a market share of about 34% (from 33% in 2010). The high-end MTB continues to increase, while low-cost models continue to decline. The City/Trekking sector has 23% and the Classic/Holland type 10%. These two groups may have lost some market in favor of electric bikes. In fact e-bikes had a market share of around 4% in 2011. 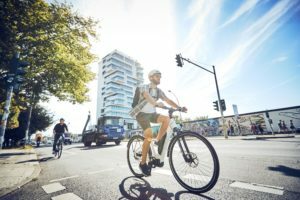 The total of the last three groups is 37% (from 36%) and is a clear sign that the Italian market is adopting bicycles for city transportation. At the same time the share of children and youngster bikes went down to 19%. Road racing bikes, the fame of the Italian industry, had a healthy market share of 7%, an increase from 6% in 2010. Other bikes e.g. foldable, specials, etc. account for 3% of the market. From an industrial point of view 2011 was an acceptable year. The Italians bought some 6% less bikes in 2011, but given the very difficult economic situation this is a good result. At the same time bicycle import increased by 17% to 0.744 million units (from 0.636 million) and the Italian production went down by only 2.4% to 2.43 million units. The key to the success for the bicycle industry were the Italian exporters which saw a double-digit rise. The e-bike is becoming more important in Italy as well. E-bike sales are estimated at 50,000 (from some 40,000 e-bikes sold in 2010) and currently have a 4% market share. The Italian e-bike production was around 30,000 units in 2011. Power assisted bicycles should become more important in the future as well. 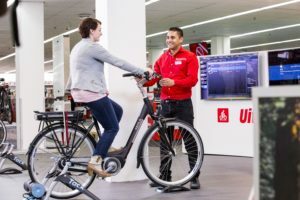 Consumer prices have not reached the level of similar products as in Holland or Germany but there is a clear trend in that clients are willing to pay around €1,200 and a bit more for a high-quality e-bike. Italy with its various saddle makers like Selle Royal, Selle Italia, Selle San Marco etc. and components makers like Campagnolo and Miche, is one of the few European countries still with an extensive bicycle component industry. In 2011 the export of parts and components was rather stable after very positive figures in 2010. The Italian ISTAT Statistics Bureau shows that the export value of Italian-made components increased by 2.5% from €391.19 million to €400.9 million in 2011. The ISTAT figures also show that the quantities exported dropped by 6.1%. |The manufacturing of large numbers of different components continues to concentrate basically to the healthy and high-value product categories of saddles and wheels. Other components are more or less succumbing to Far-East competition. The Italian saddle makers recovered a lot and recorded an overall 7.2% export increase in 2011 in value to €81.34 million from €75.89 million, (minus 0.9%). These figures confirm the further concentration of Italian saddles into the high value segment. Export of high value products such as wheels increased as well. Although it is difficult to determine the exact amount of growth for these items. Statistics accumulate them under the group ‘others’. In any case the export of ‘others’ increased 9.2% in value and decreased 1.5% in volume in 2011, giving a general indication that this business also continues to concentrate on high-value. At the same time the statistics show an enormous export decline in chainwheel sets (minus 14.4%) to €14 million, with gears for group sets (minus 33.9%) to €9.7 million in 2011. These figures indicate some difficulties for the Italian industry but also that companies such as Campagnolo exported more goods directly from its factories abroad in 2011. 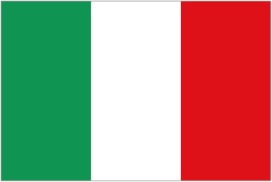 The renowned Italian frame export decreased this time – by 7.9% to €26.1 million, from € 28.3 million in 2010. In numbers the drop was big, by 20.6% to 162,657 units. This is also due to the trend of end-users purchasing complete bicycles instead of custom-building them. The very strong and unusual increase in bicycle exports of 11.1% in 2011 was a big success for the Italian industry. That success is spurred by mass market retailers that have their bikes assembled in Italy for average export prices of around 100 euro. The big question now is what is to happen with the anti-dumping duties for Chinese made-bicycles. If these duties are not prolonged in 2013, a rather large part of the Italian bicycle industry could be lost forever. 2012 is a very tough year in Italy since the economic situation is very critical and the government has to continue lowering their expenditure and increasing taxes to balance the public debit. On the positive side the image of the bicycle has grown immensely. Many consumers have changed their attitude towards cycling in Italy in the last years. We see more and more non-sport-oriented citizens cycling on Italian roads these days. In the long run, the economic crisis may even favour the bicycle industry.